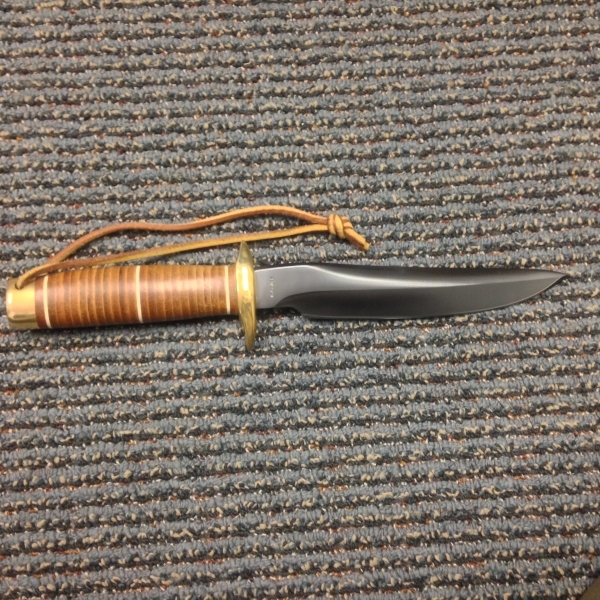 Here’s the *second* ever knife that SOG produced! 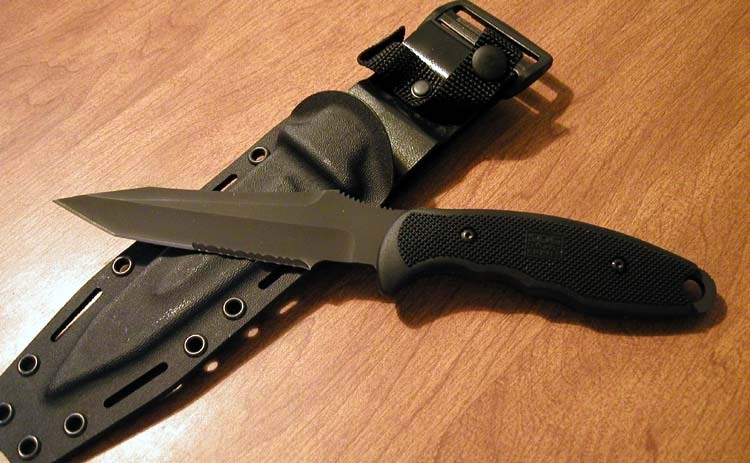 Building on its branding with the US Special Forces, SOG produced the ‘Trident’ knife in honour of the US Navy SEALs. 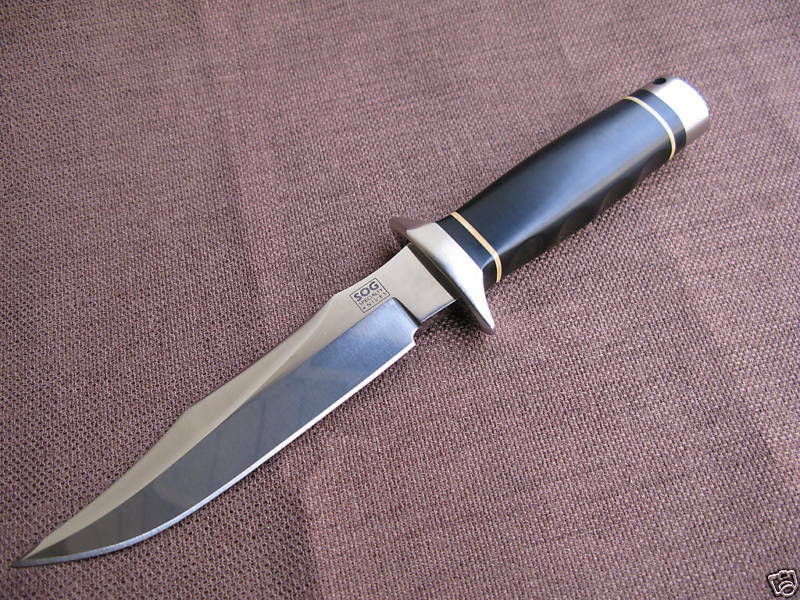 This knife bears a striking resemblance to the original S1 Bowie, except that it uses a different blade steel and micarta handles – a very much modern make-over of the S1 Bowie. 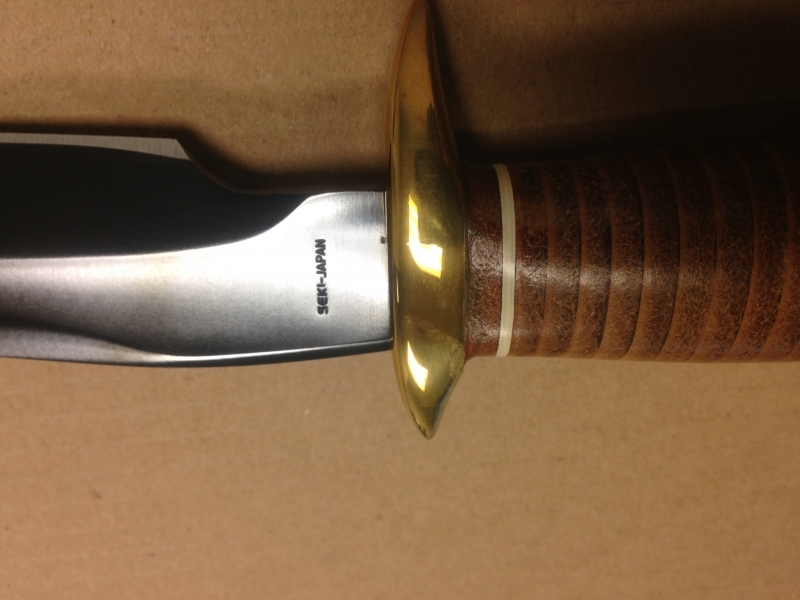 The Navy SEAL emblem can be found engraved on the right side of the blade. 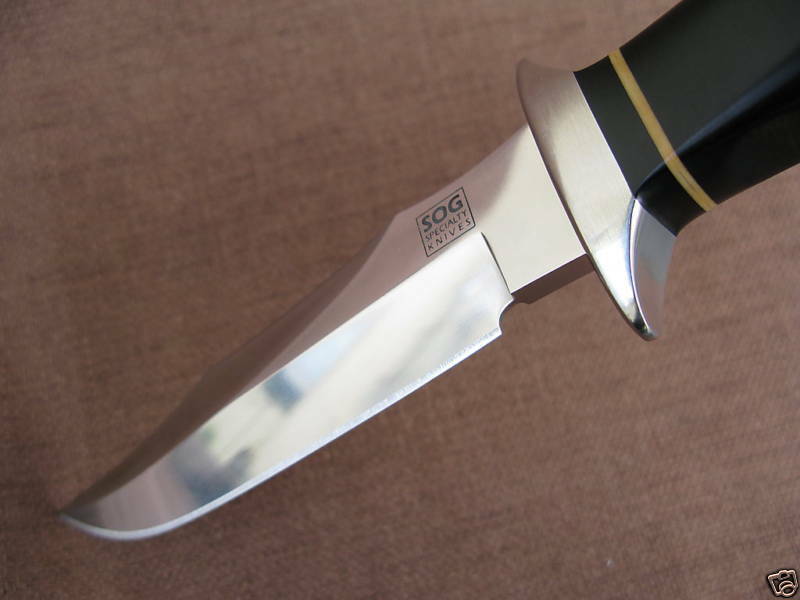 Unlike other old SOG bowies, the Trident does not have ‘S.M.CA’ or ‘EDM.WA’ engraved below the SOG logo which some other knives may have. 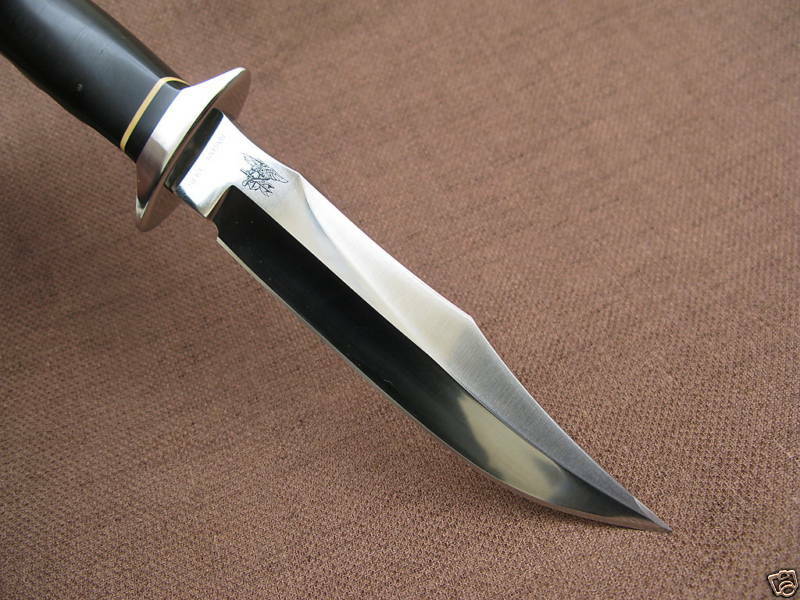 The Seki-Japan made SOG Tridents hae been discontinued, but a similar version is currently being produced in Taiwan (renamed as ‘Trident 2.0’), along with the majority of SOG’s fixed blades. The model we are talking however was produced in Seki, Japan. 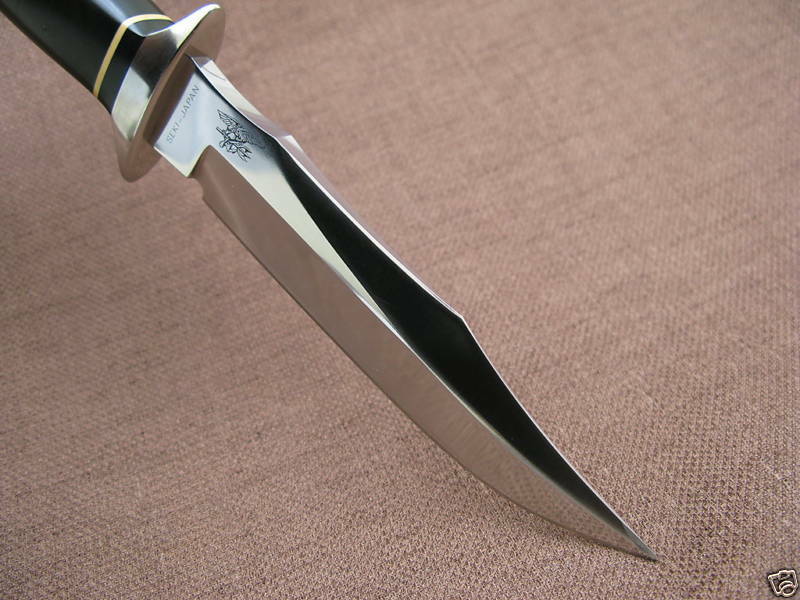 Older versions of the Trident can be identified by the “Seki Japan” engraving on the knife and the thicker white (oldest versions have aged yellow) washers on the handle. 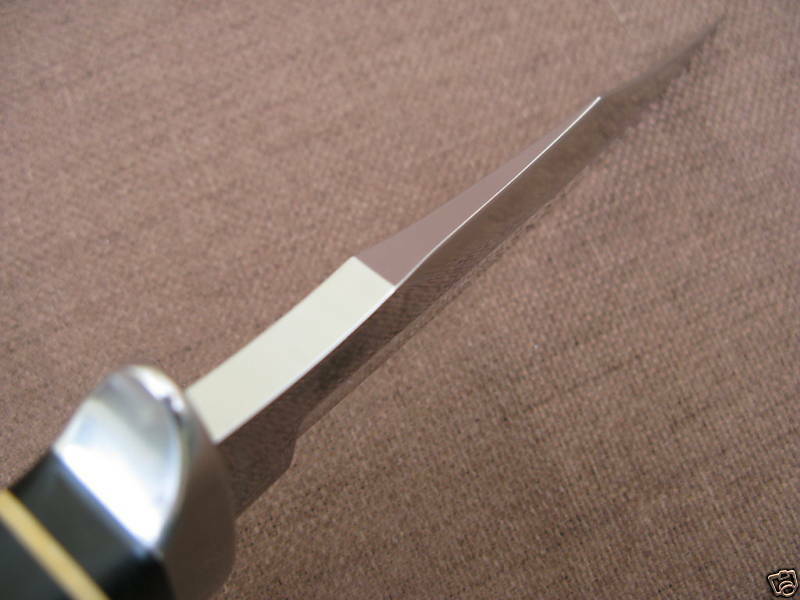 Also note that the newer Taiwanese produced ‘Trident 2.0’ has a longer 6.4″ length and a smaller thickness of .240″. 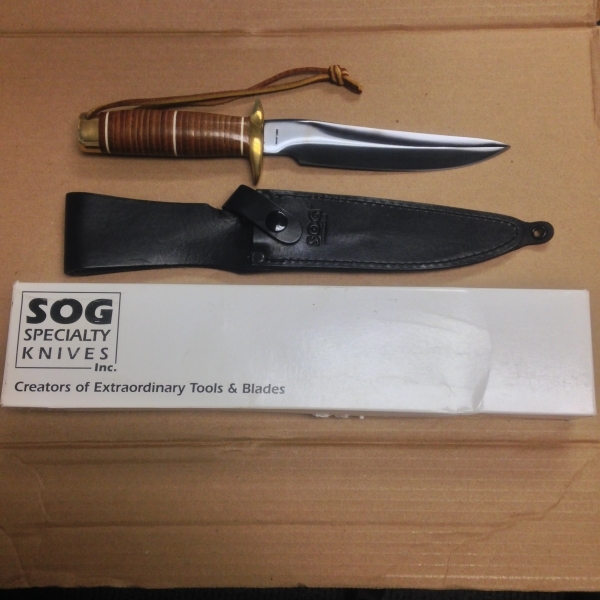 Other things of interest: One of the first few models off SOG’s production line. 3 versions of the knife were produced. 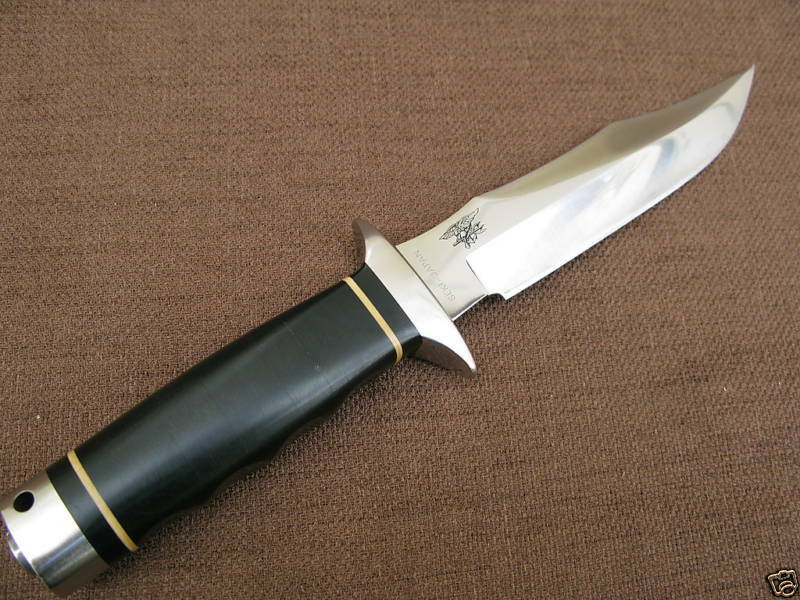 This knife is named after our most capable special forces unit, the Navy SEALS and displays its emblem… the Seal Trident. The Trident represents the accomplishments of a man who has undergone the most rigorous training program that can be devised to produce the consummate warrior. Only a select few are accorded the right to wear the Trident on their uniform. 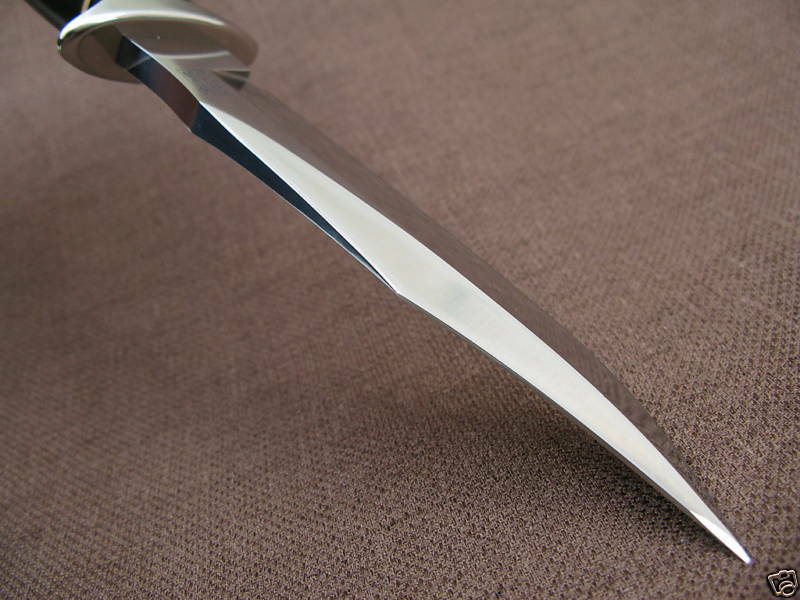 Our Trident knife embodies this spirit with its exacting and meticulous construction. 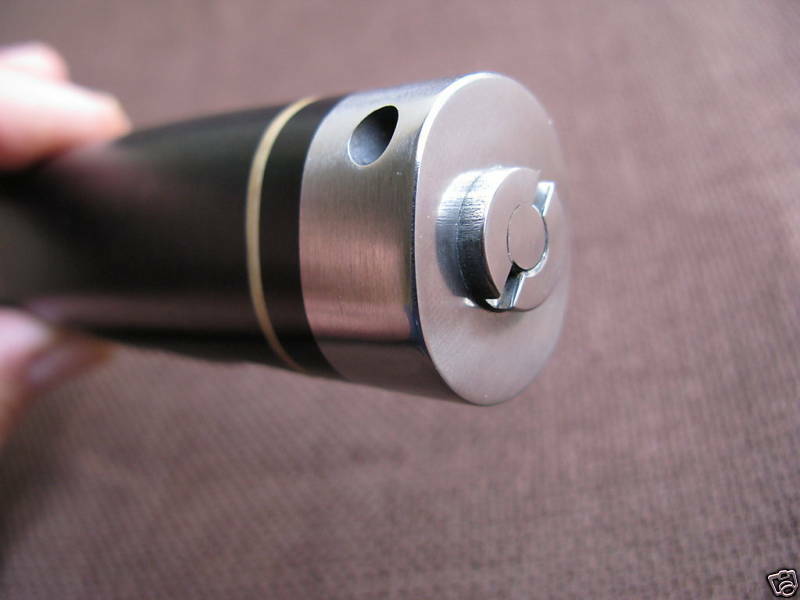 Features such as our all stainless steel construction, surgically precise hollow grinds, laser cut micarta washer handles, aircraft spanner nut pommel assemblies, etc… it will guarantee sophisticated performance at any altitude or depth. 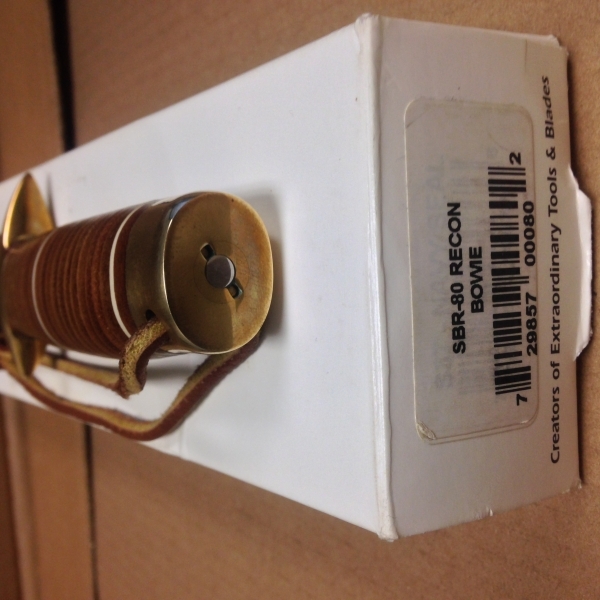 A non-engraved option is also available on special order.